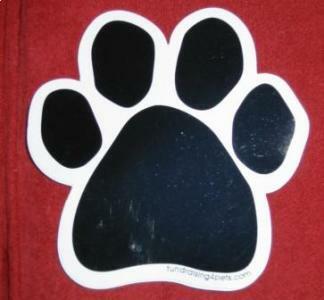 All of the magnets are made of heavy vinyl magnet material with UV protection. The PawPrint is 6" wide. Postage is included in the price of this item.